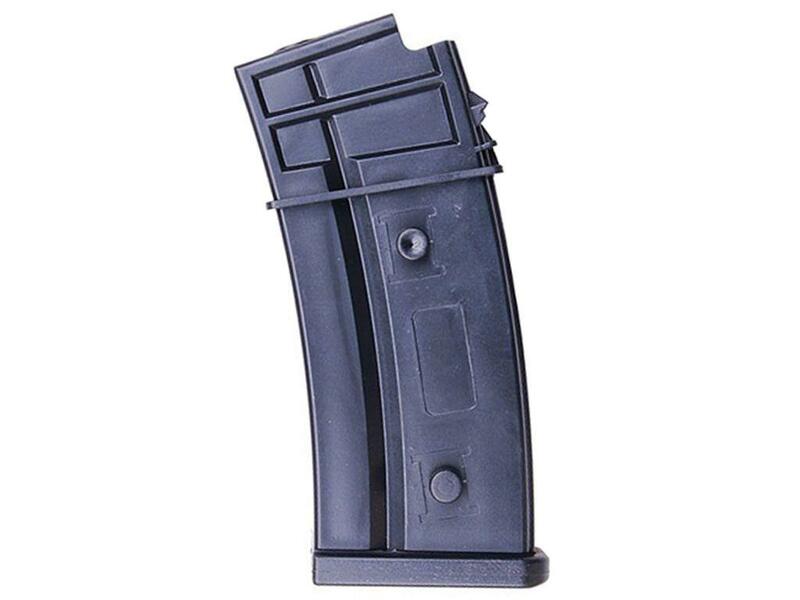 King Arms 95rd G36 AEG Magazine | ReplicaAirguns.ca | Easter Weekend Sale! 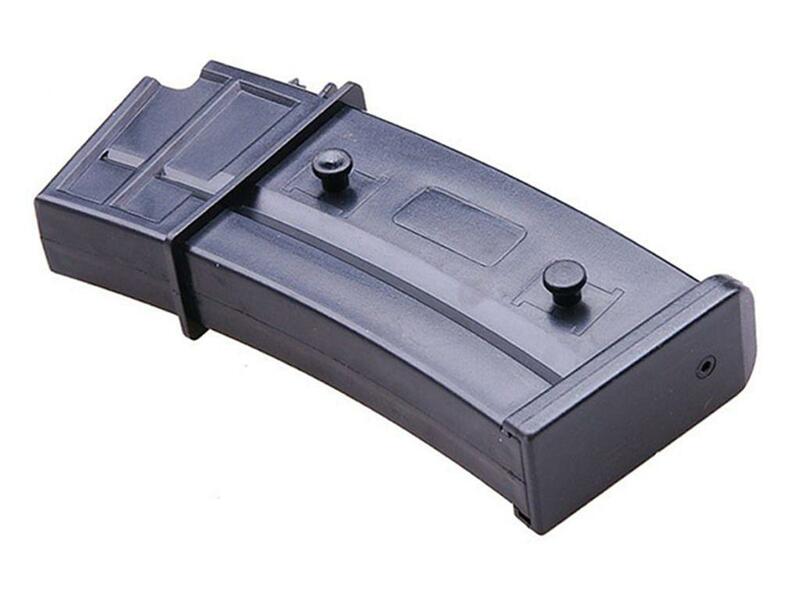 Comments: Keep extra ammo close at hand with the King Arms G36 AEG magazine. The integrated studs allow for jungle style magazine stacking, so you can reload in a flash. 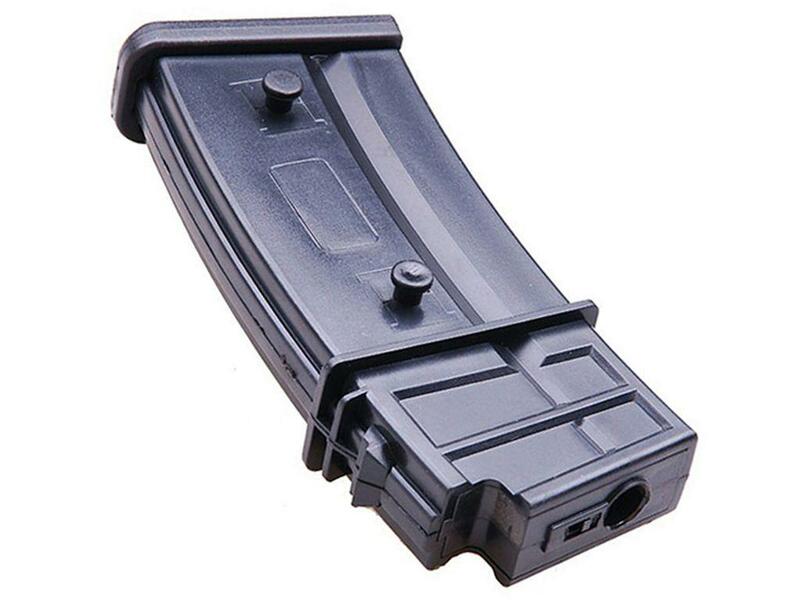 This magazine has a realistic low-round capacity and a durable polymer jacket, just like the real steel G36.